Looking for a way to support the fight against breast cancer? Departments across the country will be wearing pink badges during the month October to bring awareness to this horrible disease. 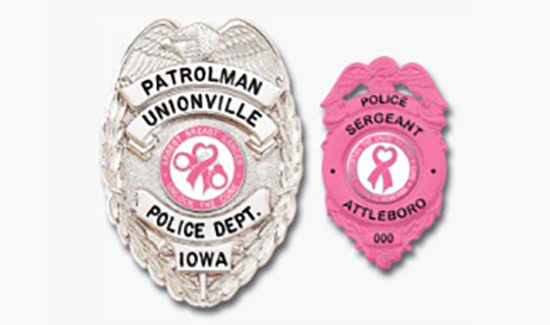 If you are looking for a way for your department to support the fight, consider wearing a Blackinton Pink Badge. Blackinton will donate 10% of sales from its Breast Cancer line to the Gloria Gemma Breast Cancer Resource Foundation and the Firefighter Cancer Support Network. Mark your calendar: September 1 is the deadline to order a Blackinton Breast Cancer Awareness badge to ensure it ships by September 30. The deadline is for orders of <100 badges. For larger orders, dates need to be negotiated.